This is a sketch of the lady sitting next to the person with the surgical mask (see yesterday’s post). I don’t know the precise term for her garb, but it reminded me of the outfits worn by nuns. I have much more control with pencil than with ink pens. 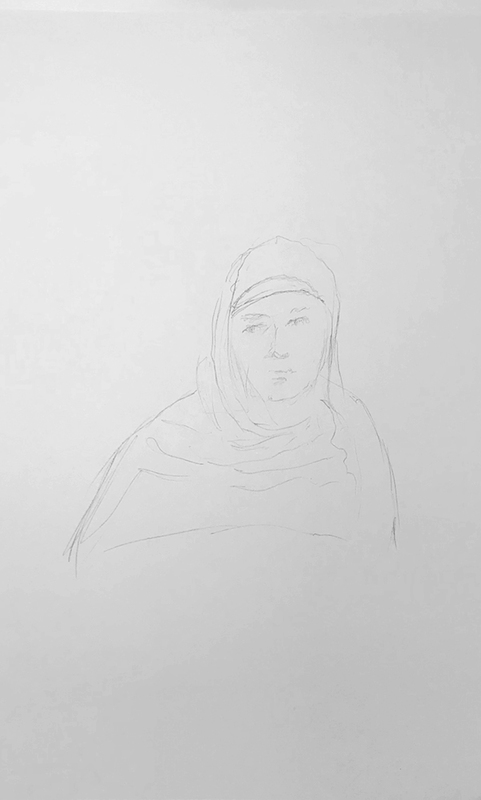 This entry was posted in Personal Stories and tagged artistic process, creativity, drawing, nun garb, pencil sketch, portrait, portraiture, sketch, visual art. Bookmark the permalink.